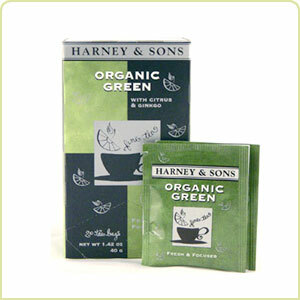 Harney & Son's Organic Green Tea. A hand-picked organic green tea from Southern India. This refreshing blend delivers the benefits associated with green tea and ginkgo, along with the bright taste of natural citrus.